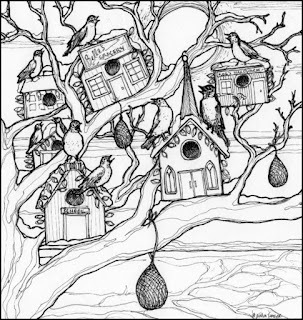 It is my pleasure to be creating a series of ink illustrations for some short stories by Hannah Ridolfi of Howick, QC. Her tales cleverly weave natural history with imagination to create a whimsical, lavishly detailed description of the goings-on in her garden. 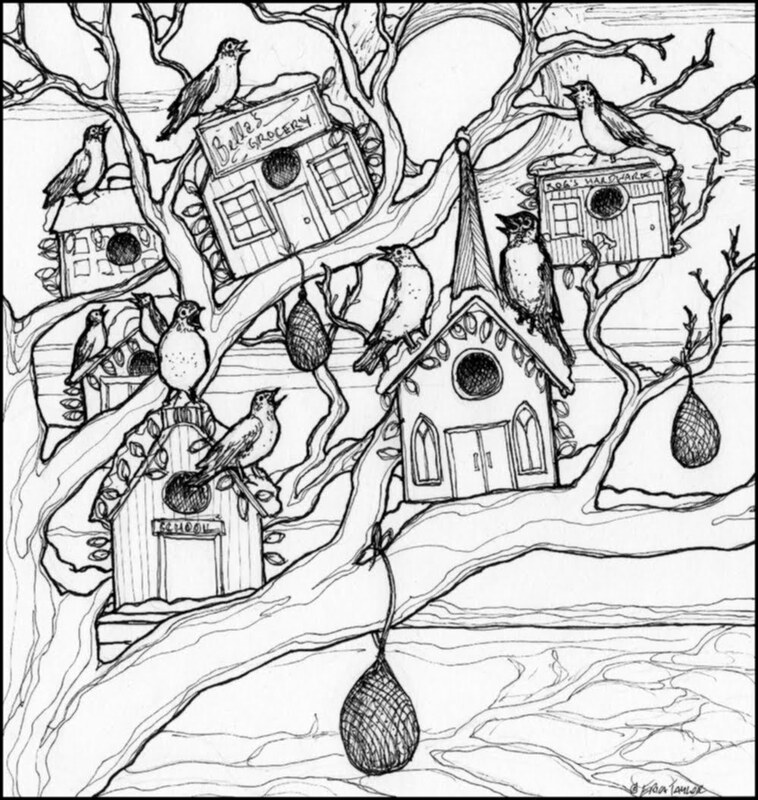 Here is the drawing for 'The Winter Robins'.